Hector is Around the Corner! The next content update is almost here, bringing the Black Market, revamped Hellgates and more. Find out all you need to know here! The cat’s out of the bag: Hector is coming to Albion Online on June 7, 2017! This is the final update before we launch the game on July 17, 2017, and it certainly packs a punch. Head on over to the Hector update page for a first look at what to expect. Here is a short highlight of the most prominent features of Hector! The Black Market merchant is a new NPC that can be found in Caerleon, the center city of the Royal Continent. 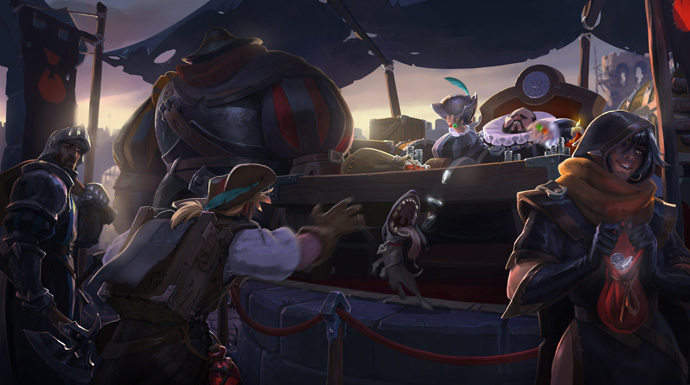 This shady figure buys equipment from crafters and redistributes it to the mobs and chests of Albion, who in turn drop the equipment to players in Albion. Do not be fooled, as this NPC is not your typical merchant with an infinite demand: All buy orders from the Black Market are based on the amount of mobs that are killed in PvE. This new feature has several benefits. First of all it allows us to add cool drops to the PvE of Albion Online, without taking away from the player-driven economy. All equipment is once again player-crafted! Additionally, as the Black Market merchant is shady, this can also be used as a proper item-sink for lower Tier items. 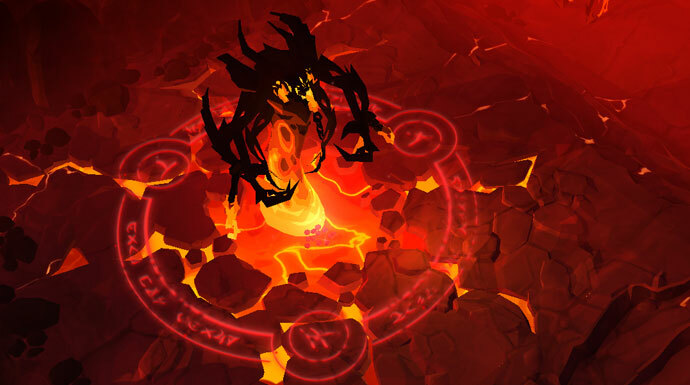 Lastly, we can remove Essences from refining and get rid of refined resources as a drop from Hellgates and chests. Stay tuned for more information on the Black Market, coming soon! 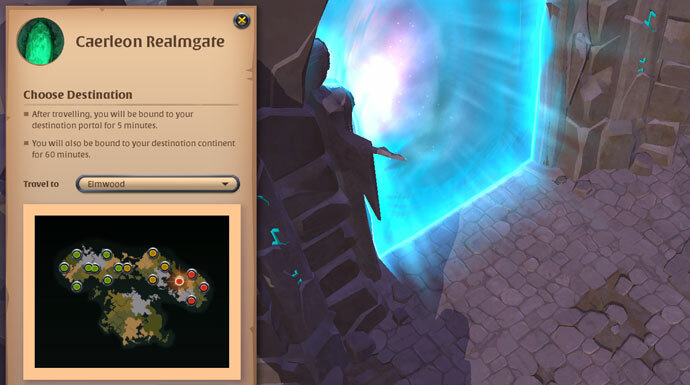 Hellgates are a vital part of Albion Online, mixing PvE with the thrill of PvP. While they have been well-received in general, there are some smaller issues that could not be addressed with so-called band-aid fixes. This is why we are giving the Hellgates a revamp! This revamp includes not only a new, pentagram-shaped map, but also new mechanics and minibosses. 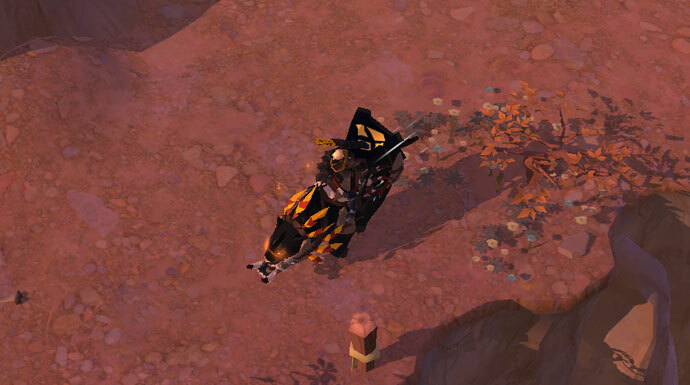 We have also divided the Hellgates in three different difficulties: Ashen Hellgates (green zones), Ignited Hellgates (yellow zones), and Infernal Hellgates (red and black zones). The Outlands are also receiving several improvements. We like the changes we have made so far, but feel the cities are not fulfilling their role and the Outlands in general are too restrictive for smaller guilds or guilds without territory. First of all, the current harbors and black zone cities are being removed from the game. Instead, a massive portal has appeared in Caerleon. This portal links to the different parts of the Outlands, allowing players to travel to the black zones for free. There will be several rules linked to this portal, in order to prevent abuse. Resource distributed is also being adjusted. All parts of the Outlands are getting the same amount of resources, but will have different rates of enchanted resources, with the higher areas getting an increased rate. Overall, the black zones will have a significant higher amount of enchanted resources compared to the Royal Continent. Lastly, the watchtower territories are being boosted as well. They are the only place in the world where you can find Tier 8 resources and will have all their resources respawned at the prime time of the territory. You don’t have a watchtower but still want to get your hands on Tier 8 material? It is now possible to gather in other guild’s territories, meaning you can raid them and steal their resources. On top of that, the Caerfyddin map in the Royal Continent will be replaced by the Keeper’s homebase. This means that its watchtower territory will be removed and thus the guild holding this territory has to evacuate before Hector hits, otherwise they will lose their items. From new mounts to Destiny Board UI improvements, find out all you need to know about the next upcoming update on the Hector update page. Looking forward to Hector? Let us know your thoughts in the comments below or on the forums!